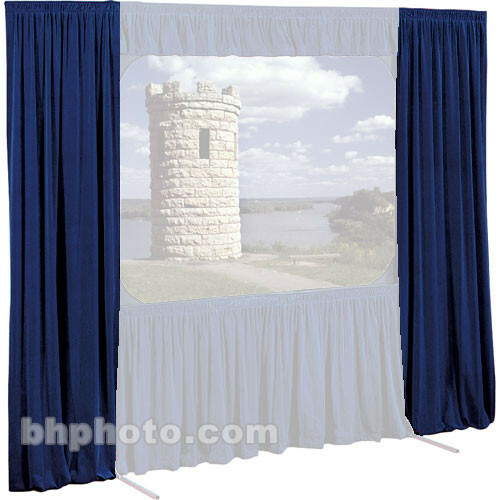 Set of Drapes for Draper Cinefold 68x104" Projection Screen - For a memorable presentation, you can give your Draper Cinefold or Truss-Style Cinefold a professional, cinema-like appearance with a striking velour Dress Kit. Stage curtains surround the viewing surface, focus the audience's attention on the screen and frame your visual presentation. These drapes add a touch of elegance and show your audience that you want them to look at the screen and not be distracted by either ambient light or disruptive backgrounds.